WHY CHOOSE UV NAIL POLISH? UV nail polish is a hybrid gel based polish which is cured (dried) with a LED/UV lamp. It applies like regular polish, however with little drying time. It also presents a brilliant sheen with long lasting wear. Through proper application this nail varnish will last up to two to three weeks without chipping. Considered to be a much more durable product to that of conventional polishes, GlazeMe polish offers a long-lasting shine that is perfect for those wanting a consistent look with minimal effort. UV gel polishes use ultraviolet light to cure the product to the nail. By applying thin, even coats and drying under an appropriate LED UV lamp, the glazeme polish will harden and dry to a stronger and more durable consistency than standard products. You can choose to get UV nail polish applied in a salon or with new DIY home kits, you can complete the application yourself. 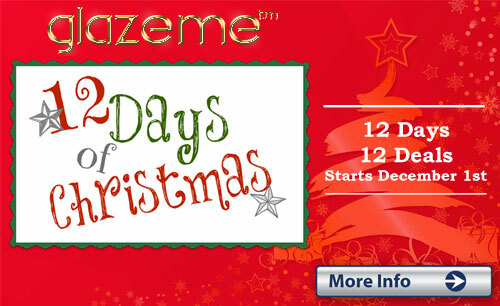 Home kits are readily available online through GlazeMe and are simple to use. Salon applied UV Nail Polish can take the time and effort out of applying polish yourself. Although a salon finish may produce a slicker, cleaner result, home kits allow you to change colour and experiment with styles as often as you like without the salon prices. Home kits are a more cost-effective option for those looking for full control of their nail designs and colour choices. Uv Nail Polish is also easy to remove, making it the ideal choice for those who enjoy regularly changing their colour or style to suit their outfit. By soaking the nails in pure acetone your polish is easily removed. Unlike fake nails and other techniques, the ease of removal and change of colour makes the UV nail option desirable when compared to conventional methods. GlazeMe.com.au source and provide gel based UV nail polishes and UV curing lamps from quality manufacturers to provide you with an affordable DIY package. Browse our site and choose a kit that suits your taste and style. We have over 50 different colours to choose from – outshine others with your GlazeMe polish!